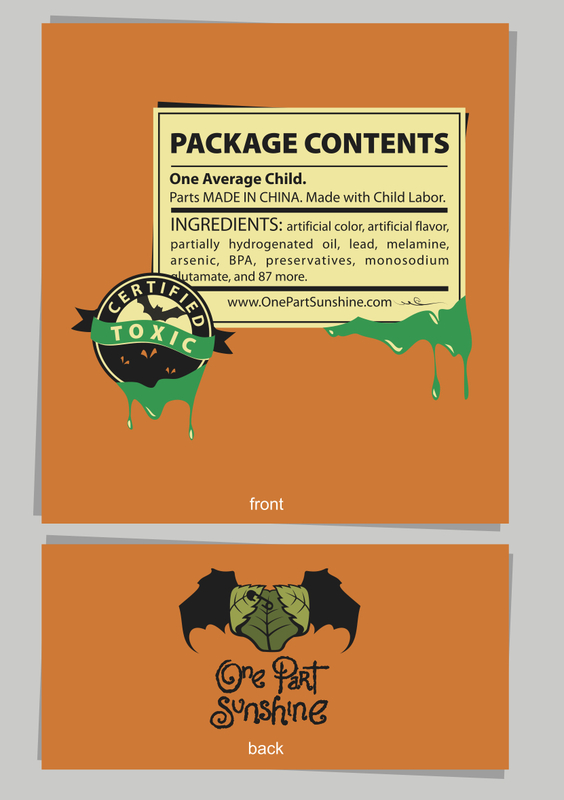 I am proud to introduce One Part Sunshine’s line of 100% organic cotton t-shirts. And the best part . . . we have one for Halloween! Vampires, witches and ghosts have nothing on a child made of toxic chemicals and artificial ingredients. 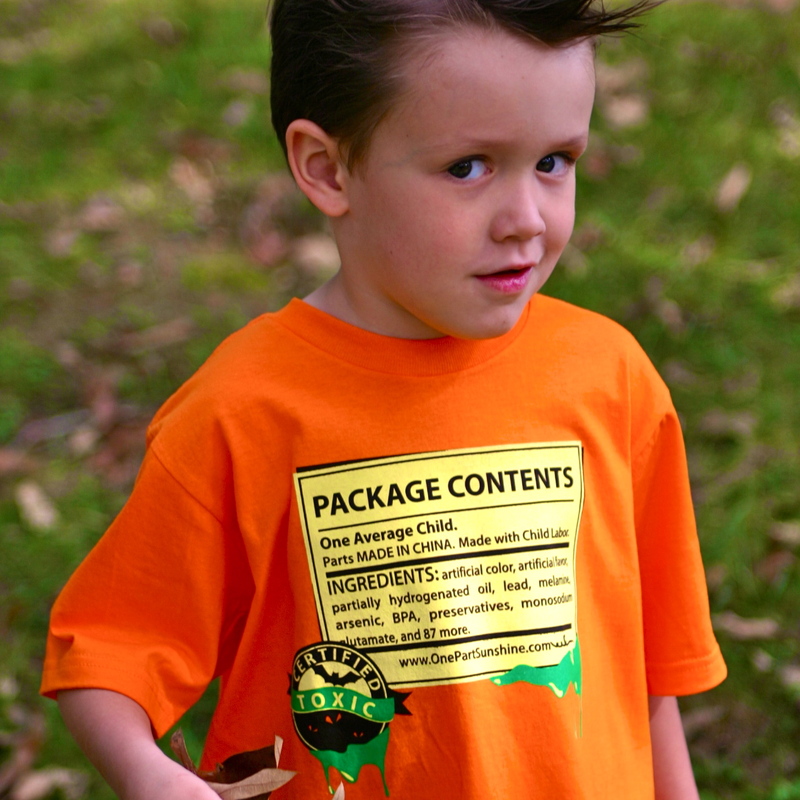 Our 100% organic cotton t-shirt is the perfect Halloween accessory for your green kid. Or make it a Halloween costume by accenting it with a third eye or green hair. 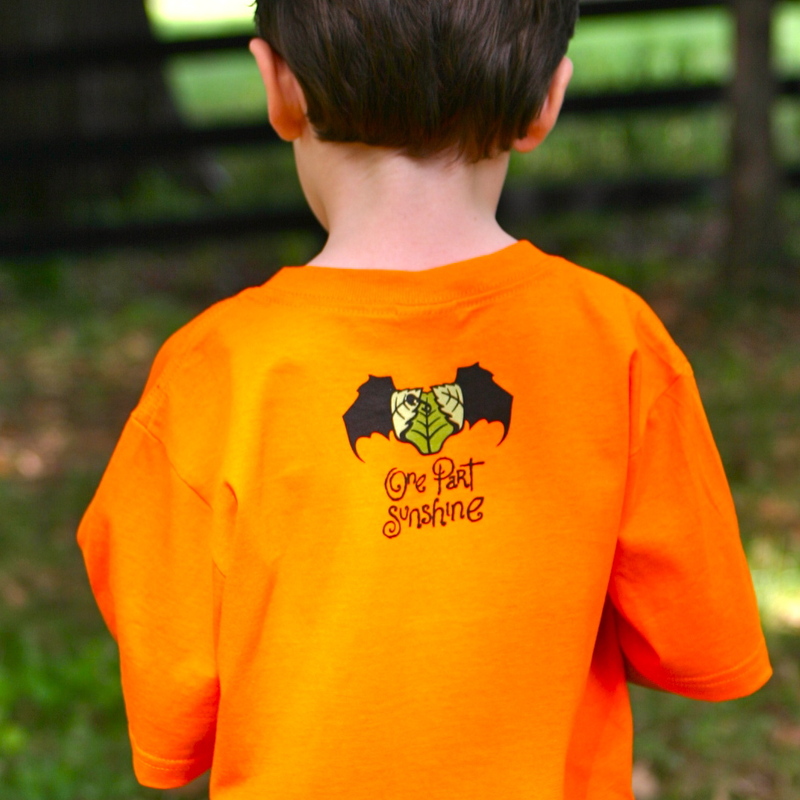 Available in kids’ sizes XS (2-4), S (6-8), M (10-12), and L (14-16). Available (in orange color only) in kids’ sizes XS (2-4), S (6-8), M (10-12), and L (14-16). The shirts run big. We also have a baby version (in natural color only) in sizes 3/6 mos, 6/12 mos, 12/18 mos, and 18/24 mos.